Oh well my goodness me – I know, I know, you’ve been waiting. Me too actually! It’s pretty exciting, what’s in store – The Wellness Collective Membership is gearing up to launch! What’s the fuss about you might be asking? Good, because I’m here today to tell you more. The Wellness Collective Membership is your monthly subscription to so much goodness! It’s right here that you will have unique access to special (saved up JUST for the membership peeps) episodes of my new Radio Show (not heard anywhere else), alongside webinars, special offers, discounts and MORE. We’re set to get this live for you in the next 4 WEEKS (EEK!). I don’t want you to miss out SO all you need to do is make sure you are subscribed to The Wellness Collective OR update your current details to make sure that you get FIRST DIBS to join which includes your chance to get your hands on some pretty cool goodies in the lead up that won’t necessarily be available to everybody – but most certainly to my Wellness Collective family! 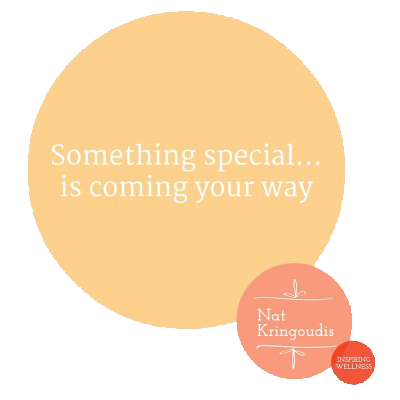 I’ve got treats from all corners of the globe – think gorgeous jewellery, books, blenders and MORE! So subscribe to the Wellness Collective here (it means you’ll receive our weekly updates and any special offers) and get ready to WIN, WIN, WIN! I’m pretty pumped. Share the love with your friends who you think will love to join in on all the FUN! And YES, the webinars will be LIVE which means we will be chatting! !